I’m sure there are places in the world where everyone is “whoo hoo” when it comes to parsnips. Around these parts you get more of a “meh” reaction about them. Poor little guys. This recipe is similar to other soups I’ve posted– but I did my partsnip (forgive the pun) and made *parsnip* the star. If you have any suggestions on cooking parsnips I would love to hear about them. Until then…may the parsnip be (mildly) with you! Cook leeks in butter, olive oil and salt for several minutes over low heat stirring frequently. Add parsnips, fennel, garlic and water. Bring to a boil and simmer until veggies are soft. Puree with stick blender. Chop asparagus but leave tops on for “flair”. 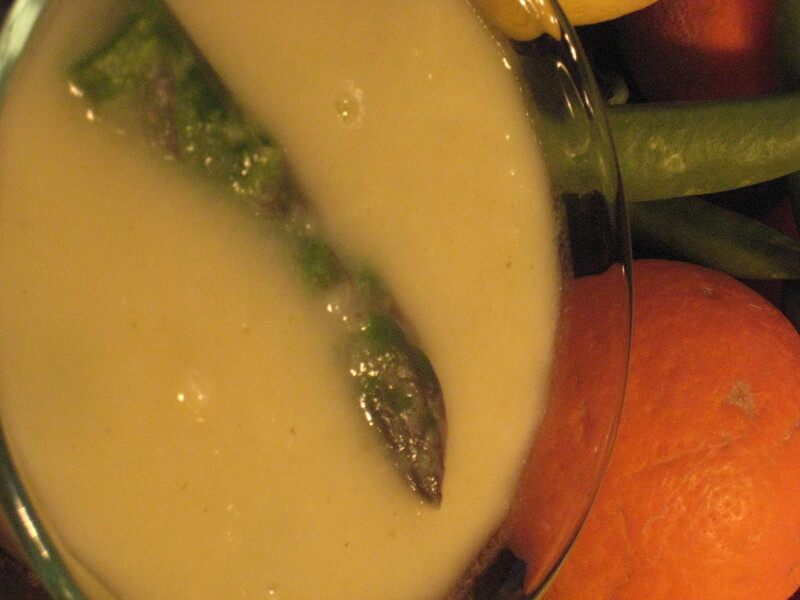 Turn off heat and allow asparagus to cook a few minutes in hot soup. Just had some and it was delicious! I’m so happy to hear that and thank you!